A truly unique way to experience winter in the Rocky Mountains. 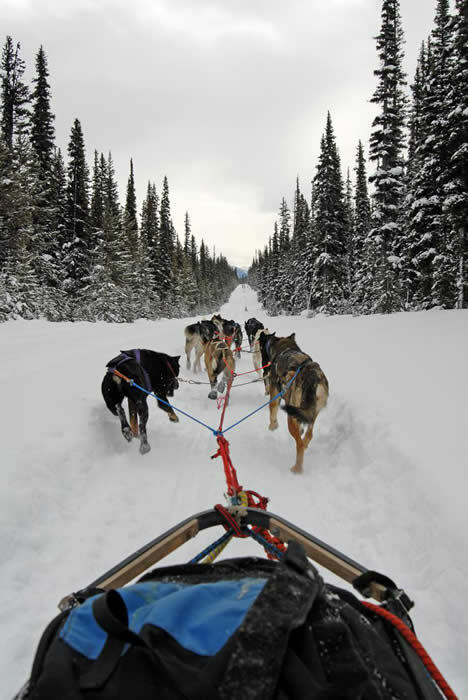 Mush your own team of dogs through the breathtaking scenery of the Canadian Rockies. Teams of friendly Alaskan Racing Huskies take you for an experience of a lifetime! All tours include the option to help harness and handle the dogs; relax as a passenger or drive your dog sled team with the help of your experienced and friendly guide. Experience the thrill and excitement of dog mushing hands-on. Puppy power is the oldest form of transportation. Join the excitement as you travel past the stunning Spray Lakes. Tours depart Banff and Canmore daily. Dogsledding the Great Divide takes you along the base of giant peaks in Lake Louise. 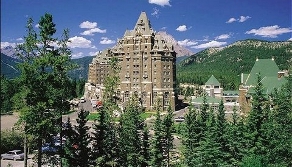 Transportation available from Banff for selected departures. 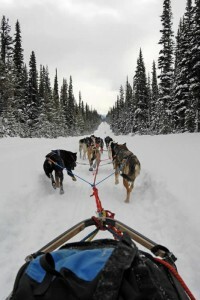 Make friends with a team of Canadian Huskies by taking a dogsled tour of the Canadian Rockies. Banff Travel offers several different tours customized to fit the needs of each musher. Learn how to drive a dog team by watching a thirty minute demonstration and then enjoy a beautiful snow capped ride through a winter wonderland. Combine a breath taking helicopter ride with an exciting dogsled adventure or wander into the serenity of the woods on snowshoes. Warm up with hot apple cider and tasty snacks around the campfire after your adventure. By the end of the day, you will truly grasp what life is like as a Canadian musher.